When Renee Sherrard-Luther lost her husband Carl to cancer earlier this year, she worried what the future held for her and her children. 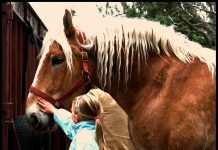 For the past 25 years, Renee has owned and operated a non-profit riding facility dedicated to providing therapeutic riding lessons and helping those with a wide range of physical problems, including brain injuries, broken necks, autism, cerebral palsy and other developmental issues. The Freedom Hills Riding Program, located in Port Deposit, Md., has helped thousands of people, some of whom have gone on to win gold medals in Special Olympics equestrian events. 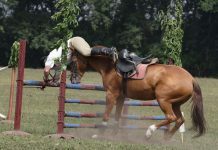 The loss of her husband has left Renee struggling with finances and in danger of having to close her riding facility. In addition, her house has many problems, including foundation concerns, lack of insulation, unsafe windows and doors, and a kitchen with broken appliances. Inspired by her hardworking mother who hosted families in need while running a 156-acre farm, Renee has always had a strong love for riding and for helping those in need, especially children. She’s worried she might lose all of that. Fortunately, the community to which the Luther family has given so much has a chance to give something back. Thanks to the people behind Extreme Makeover: Home Edition and a legion of caring business and local volunteers, Renee and her children received an entirely new house and a fully-renovated riding facility on Oct.21. Look for the presentation and all of the steps that led up to the dream makeover on an upcoming installment of the popular ABC TV show.